Grated Parmesan cheese, also known as Parmigiano Reggiano, is a hard, pale yellowish cheese made from raw cows milk that is sold pre-grated. It is finer than shredded Parmesan cheese. You can also grate your own and store it in the freezer for up to 6 months. Fine flakes, almost powdery. Tends to clump when packed too tight. Choosing: Price usually correlated to quality because more expensive cheeses are aged longer or were sourced from small artisan cheese producers. Buying: Parmesan is sold in wheels, blocks or wedges and flaked, shredded or grated. Grated cheese parmesan are readily available in any supermarket or grocery store. Procuring: The cheese is aged for at least 12 to 16 months maximum although those made in the United States are aged for a shorter time. Grated Parmesan cheese brings depth and richness to pasta sauces and condiments. It also adds a dimension of flavor to breaded dishes, soups, dips, pizzas, salads and cooked vegetables. It is also excellent eaten on its own, especially as added drizzle over complementary dishes along with a little bit of virgin olive oil. Parmesan cheese pairs greatly with poultry, pork and some seafood. Though Parmesan cheese can be grated for convenient usage, and even stored and be frozen for up to 6 months in the freezer, it tastes best freshly grated off the wedge. Defrost in the refrigerator overnight before using. Grated parmesan cheese will keep for a few weeks as long as they are kept in an airtight container in the refrigerator. History: Parmesan's origins trace way back beyond the 13th century. 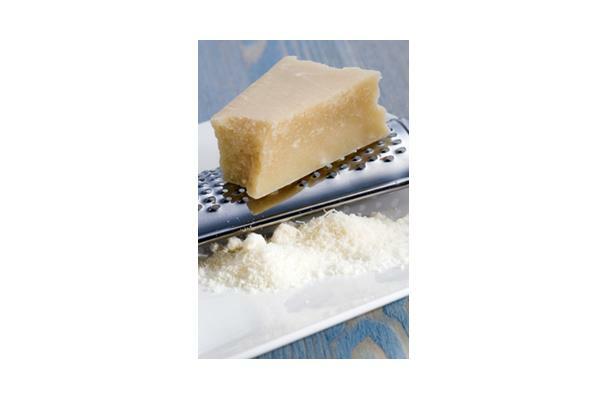 Parmesan cheese making is said to have started in Enza Valley in Italy, between the cities of Parma and Reggio Emilia. Up to date, it is still made the same way, which is 8 centuries later.